Home News Politics DE LIMA ON HER ABSENCE IN SENATE ORIENTATION : "DONE THAT ALREADY"
DE LIMA ON HER ABSENCE IN SENATE ORIENTATION : "DONE THAT ALREADY"
Senator-elect Leila de Lima explained her absence in the orientation for incoming senators today, 27 June 2016, saying she already received a one-on-one briefing ahead of her colleagues. Only Senators Joel Villanueva, Risa Hontiveros and Sherwin Gatchalian showed up at the briefing conducted in the chamber by the Senate Secretariat. De Lima and another neophyte Senator Manny Pacquiao were absent but their respective staff members attended the orientation. 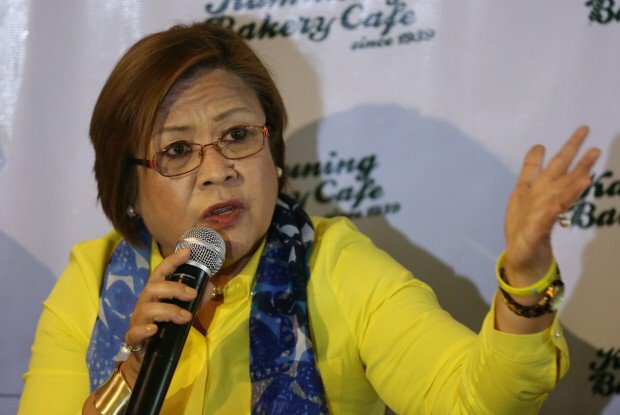 De Lima said in a text message that “I have a sked conflict. So, I just sent a team headed by my CoS (chief of staff),”. “I was previously briefed, one-on-one, by a Senate official,” she added. The neophyte senators and their staff were briefed about the legislative work in the chamber, including maintenance, security and their salaries.